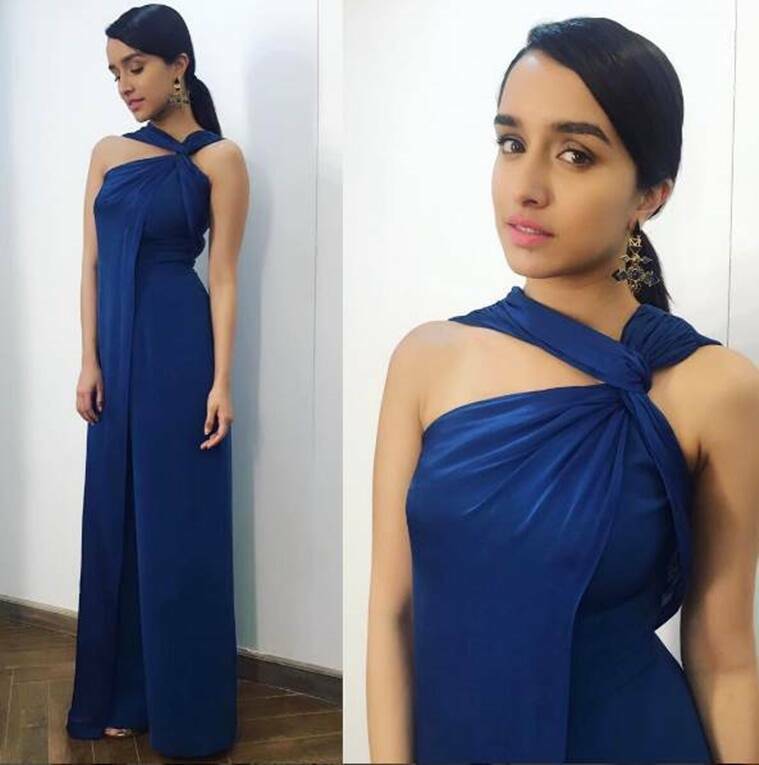 Shraddha Kapoor Athiya Shetty showwear metallic without going overbored. 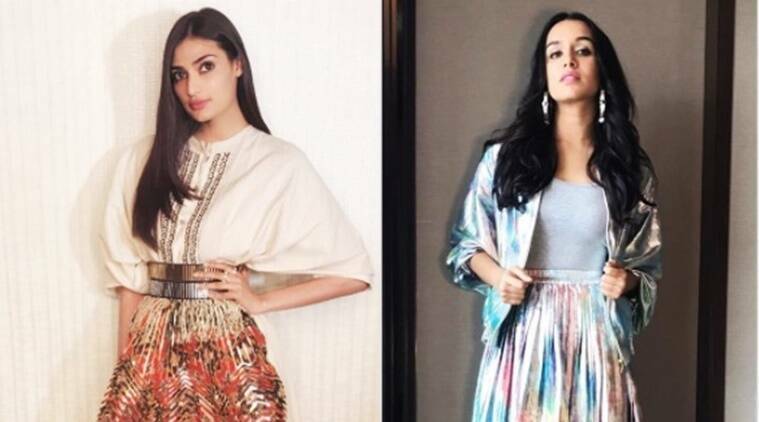 From Deepika Padukone to Alia Bhatt, almost everyone has tried it and the latest ones to nail metallics are Shraddha Kapoor and Athiya Shetty. The actress who was seen at an event rocked colourful holographic separates from Nor Black Nor White. Halfgirlfreind actress who picked up the statement-making pieces from their latest collection styled the bomber jacket and the pleated skirt well with a grey T-shirt. Her accessory game was strong too with a pair of powder blue Christian Louboutin heels and earrings from Valliyan. The look was absolutely spot on and we aren’t surprised since it was curated by celebrity stylist Shaleena Nathani. She has in the past put up stellar looks for Deepika Padukone and Anushka Sharma in metallics. Even celebrity hairstylist Franco Vallelonga did a good job with voluminous curls and celebrity make-up artist Shraddha Naik complemented it with a dewy-faced make-up and a pink pout. We love this look! Athiya Shetty, on the other hand, was seen promoting her upcoming film Mubarakan in a mix and match look.